Taste. Motion. A Student of Society. And Up Close And Personal. Looking at my student record, it pains me to know this long road has not reached its destination. I feel disappointed. The longer I stay in this track, the bigger this doubt is becoming. I hate doubt. It is counterproductive. It breaks the Spirit, sometimes. This thing has taken long enough and I feel like I am this ship captain and I am seeing this port but it is low tide and I have to wait because I do not want to swim or I do not want to use the small boat because as a captain, I need this ship to be docked in that port, no more, no less. Fascinating and disappointing at the same time. Few weeks before the last semester ended, I broke down while writing our last assignment piece. Due to a trivial lapse, I began to feel irritated. Suddenly, it had me left wondering, why I am still doing this? when will this end? Why can't I just finish this soon? And so my focus went down the drain along with my paper. Half-hearted I submitted my last requirement, my adviser, the ever wise, would have also known it, and so is my remark. I hate this feeling. I hate the fact that I submitted a half-baked piece knowing that most saturdays before deadline I devoted so much time for it. I did not enjoy the process and time management did not do me good even. 'Sometimes, you just have to stay away from it for a while? ', my fellow ponders. 'And what If I come back then I would be starting all over again? ', I replied. 'Small steps will do', he positively remarks, 'for how long? ', I, the objectivist, making some contrast. 'Whenever you are ready' said this zen professor. I have been preparing for it for some time now. Preparation has taken a long time. Tales of 'Not in my Priority List' abound and a big number of my friends are joining in this list. Well, I can include myself. 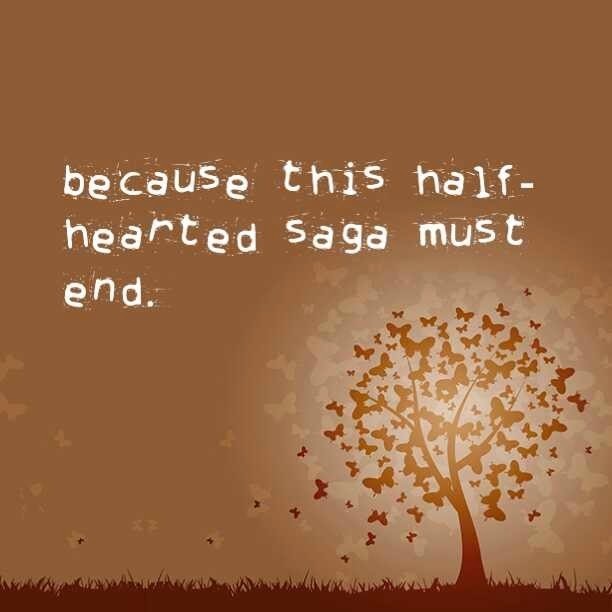 You have to stop saying 'half-hearted saga and make a turnaround and make it a 'whole hearted saga' said my paandar self. Perhaps, there lies the difference. You will finish it sooner than you may probably think of. I have a point. In the meantime, while waiting for my best gal's message if we can see each other to hear me rant about it, I will probably let off some steam. I suddenly think about my topic. I can sit by the river and reflect later. PNP complaint with ‘Ang Probinsyano’ is Duterte’s fight vs ABS-CBN?